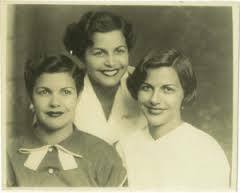 In developing a culture unit about the Dominican Republic for high school Spanish 1, my colleagues and I brainstormed about the best way to introduce and discuss the history of the Trujillo regime and the Mirabal sisters who gave their lives in the fight for justice. How could we introduce this key period of Dominican history in a way that is engaging, thought-provoking, and accurate? Furthermore, this history is one of very difficult and disturbing truths. While I am a firm believer that it is important and necessary to teach the darker episodes of history (for reasons I won’t delve into here, but would be happy to discuss in the comments), I strive to do so in the most appropriate and considerate way. 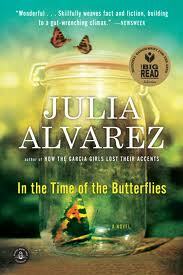 Julia Alvarez’s novel In the Time of the Butterflies has long had a place on my bookshelf as one of my favorites, so I was delighted when a colleague found a movie adaptation of the novel. We all watched the movie and decided that its depiction of the events was appropriate for our lesson. As all communities of students, parents, and administrators are different, please use your own discretion in determining if this is right for your classroom. The movie guide I prepared and am sharing here has three main parts. Part one provides questions for a brief warm-up and discussion to help students activate previous knowledge, part two features comprehension questions for students to answer while watching the movie, and part three features short-answer discussion questions for students to answer in writing and then discuss. Regarding part two, the comprehension questions, I have found that they do help students stay on task in the movie. Furthermore, I pause the movie frequently and go over the past two or three questions that students have answered, as well as allowing students to ask any questions that may have arisen. I have found that this method helps students to stay engaged and it also allows me to assess how well they are following the movie and understanding key concepts. My students were really full of questions about In the Time of the Butterflies! The following discussion of the movie was one of the best we had all semester, and I was truly impressed by some of their thoughtful comments while grading part three of the movie guide. You can watch the movie right here! (Click the arrow symbol to make it full screen. I have embedded it from Hulu.com.) Since Hulu provides it for free, it does have commercials. I do believe it is available on Netflix as well. As always, any feedback is welcome and appreciated. There is lots of room to expand upon this lesson. Please keep the comments coming! My entire 9th grade is watching this movie and they are loving it. They have so many questions and are very into the movie. Thank you for this wonderful lesson. I´m so glad to hear that, Cecilia! It sounds like you have a wonderful group of students. Thanks for commenting! Wow is all I can say. This is solid, well thought out and interesting guide that you have put together. I truly cannot thank you enough. I teach high school Spanish and we will be starting this movie on Monday. Thanks again. Great work. Thank you so much for your kind feedback, Sra. Akins! Gracias por la guia que nos ha compartido, para ser utilizadar en clase. Mis estudiantes estan disfrutando la pelicula, yo enseño español a nivel de prepa or “high school.” Gracias nuevamente y adelante! Is there an answer guide? Hi Michael, there is no answer key for this activity. I periodically stop the movie throughout watching it and go over the questions in a discussion with the students. This method helps keep students on task and also helps me assess their comprehension throughout the movie. Then, for the questions at the end there are no specific correct answers. I assign these questions to be completed for homework, and many students do search google for an answer key! Muchas gracias, in Spanish V we are reading Felipe Alou, we watched in the Time of the Butterflies and we also watched MacFarland , this handout was very helpful; mine was not near as good as yours. I am connecting discrimination in 1950 with todays issues with immigration. Wow, that sounds like a wonderful unit! Thank you for the kind comment. do you have an answer key? Hi Jason, there is no answer key for this activity. I periodically stop the movie throughout watching it and go over the questions in a discussion with the students. This method helps keep students on task and also helps me assess their comprehension throughout the movie. Then, for the questions at the end there are no specific correct answers. I assign these questions to be completed for homework, and many students do search google for an answer key!